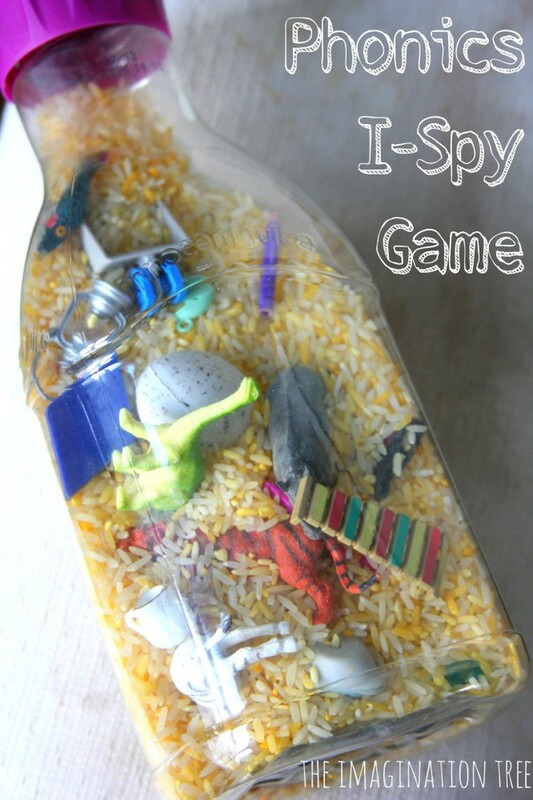 Create a phonics i-spy bottle and help children practice their letter sounds. 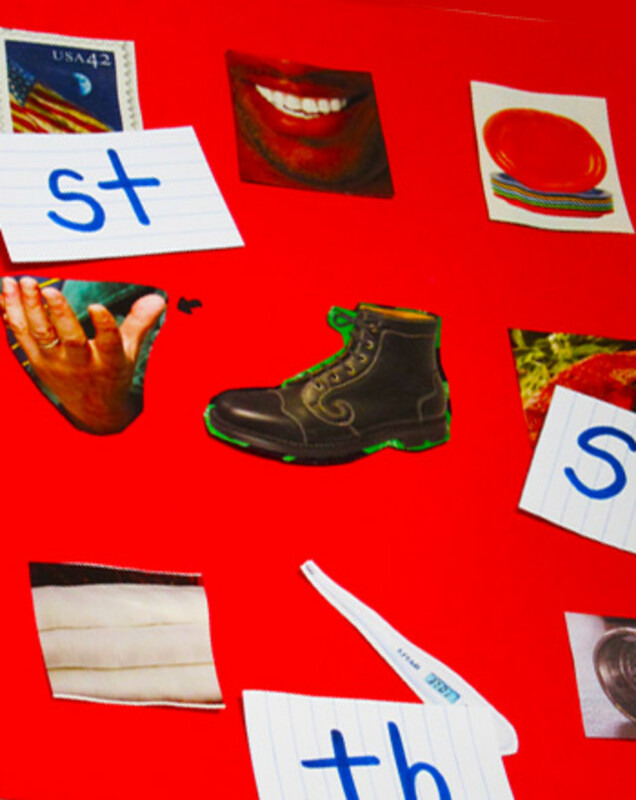 Thanks to The Imagination Tree blog for creating this fun phonics game. This activity starts of with a treasure hunt (monsters love treasure hunts!) and ends up with a portable phonics game that children can take on journeys or use at home. Monster tip: You can use a sandpit or a box full of shredded paper to recreate the game in the garden or in school. This wonderful activity was discovered on the www.education.com website. ‘Digraph BINGO!’ helps children practice the letter pairs that make a single sound. It’s a fun activity that involves children photographing objects and matching pictures to digraphs. We think children will love shouting “Bingo!” when they match the pictures to the sounds and love hunting for objects to photograph too. To find out how to set the game up go to: www.education.com. Please send in your suggestions of any other successful phonics games, activities and resources you’ve made for your students and children, we’d love to share them with our fans. 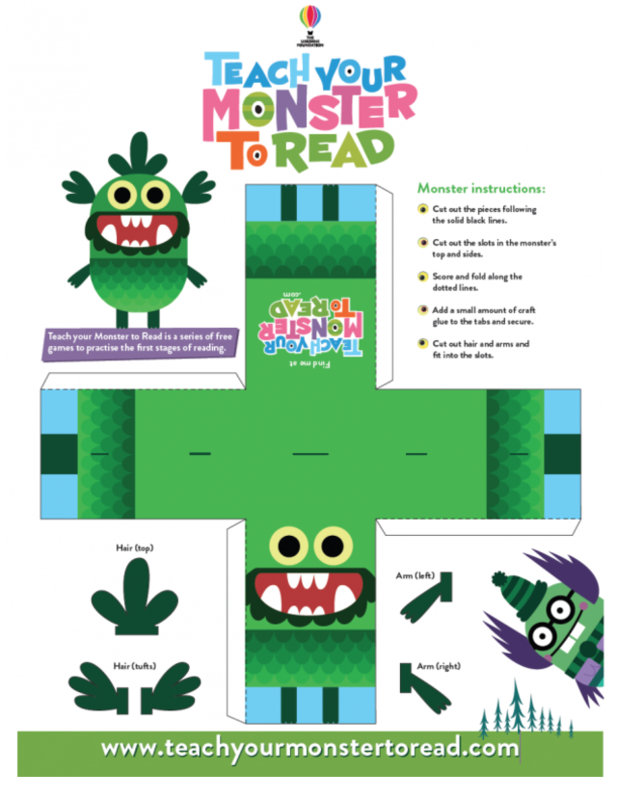 Download this Make Your Own Monster PDF and build our fabulous green monster in 3D! Parents, teachers and older kids can help younger children with the cutting and sticking. It’s a lot of fun. Here’s our finished monster – RAAARRRRR! We’d love to see your finished monsters – email them in to [email protected] or post them to Facebook, Twitter or tag us on Instagram.